OLD PARKED CARS. 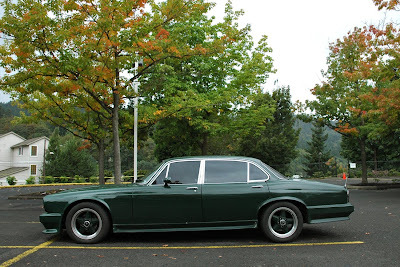 : 1976 Jaguar XJ-12. 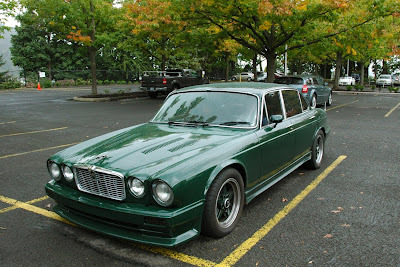 The hood and the door handles as well as other Details hint to a Series II. 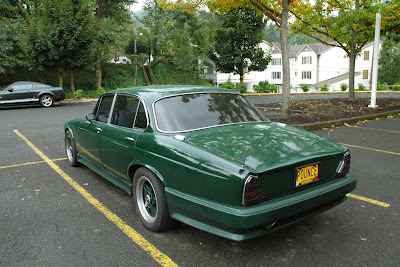 But the rear lights are from a Series III. Also note the louvers in the hood - SBSC conversion. Doesn`t seem to be a factory colour also. British Racing Green, I presume? Suits you, Sir! Ohh. Those tail lights and the body kit really made me bug out, (this is the parking lot at my office) and luckily the owner came back and told me a little about the car. It was imported back in the 70s, and the original owner did the exterior modifications. But under the hood it's still got the original stock engine which has been fully rebuilt, and I think the body has less than 70k miles on it. 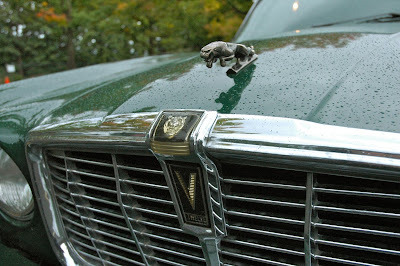 The interior of the car had some great patina and wear, the car gets used and enjoyed daily. Oh yeah, and the owner's teenage daughter was driving that day. Couldn't help but be a little jealous. Can't even tell you how much I want to drive this, but I'd have to put a more vocal exhaust on. A jag V12 can make a beautiful sound. I'll never forget the sound of Frants' E-Type starting up. Will have to film a video like this when I see Frants next. the vwvortex guys would be sweating all over this thing. i don't approve of the cosmetic mods, and yet i can't deny that the car looks fantastic.